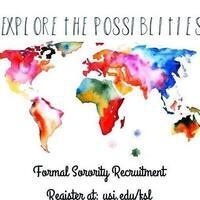 Formal sorority recruitment is organized, coordinated, and managed by the Panhellenic Council. It takes place in September and involves three rounds of recruitment events. During these events, current sorority members will meet and converse with potential new members (PNMs).